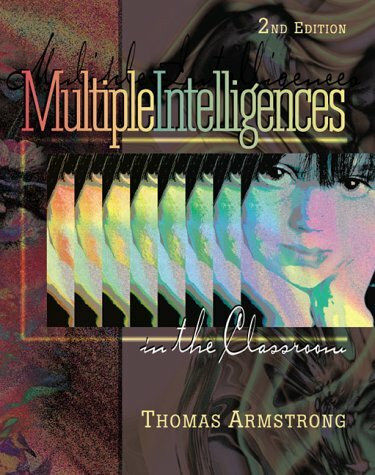 the 2nd edition of "Multiple Intelligences in the Classroom," Thomas Armstrong has updated his best-selling practical guide for educators, to incorporate new research from Gardner and others. Gardner's original studies suggested that the mind comprises seven intelligences--linguistic, logical-mathematical, spatial, bodily-kinesthetic, musical, interpersonal, and intrapersonal. This new edition includes information on the eighth intelligence (the naturalist), a chapter on a possible ninth intelligence (the existential), and updated information and resources throughout the text to help educators at all levels apply MI theory to curriculum development, lesson planning, assessment, special education, cognitive skills, educational technology, career development, educational policy, and more. The book includes dozens of practical tips, strategies, and examples from real schools and districts--as well as solid outcomes of MI, including improved test scores and discipline. Armstrong provides tools, resources, and ideas that educators can immediately use to help students of all ages achieve their fullest potential in life. Thomas Armstrong, an educator and psychologist from Sonoma County, California, has more than 27 years of teaching experience, from the primary through the doctoral level. He is the author of two other ASCD books, "Awakening Genius in the Classroom" and "ADD/ADHD Alternatives in the Classroom."